I was anxious to see what they are like. The flight was great, on time, meals were fantastic. Especially liked the ice cream. As I have never been on flight this far, I was concerned being economy seat for 14 hours. So I was lucky that I could change my seat to exit row.The woman who sat next to me was Japanese and one of the nicest people I have ever met. She taught me some Japanese phrases and what to expect in Tokyo.Enjoyed to see the view from the sky. 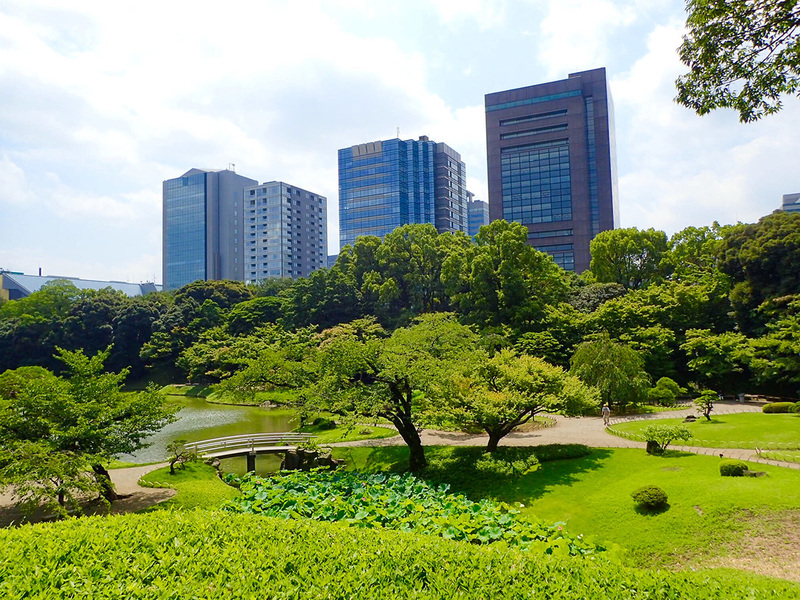 An oasis in the heart of Tokyo. I could only imagine seeing the Maples in the fall. It was very nice that they gave us a little parasol/unbrella to avoid sun because the sun was very harsh. Very fun to feed the Carps and beautiful Japanese garden view. On the way, we took subway and found out how clean the subway in Japan is. 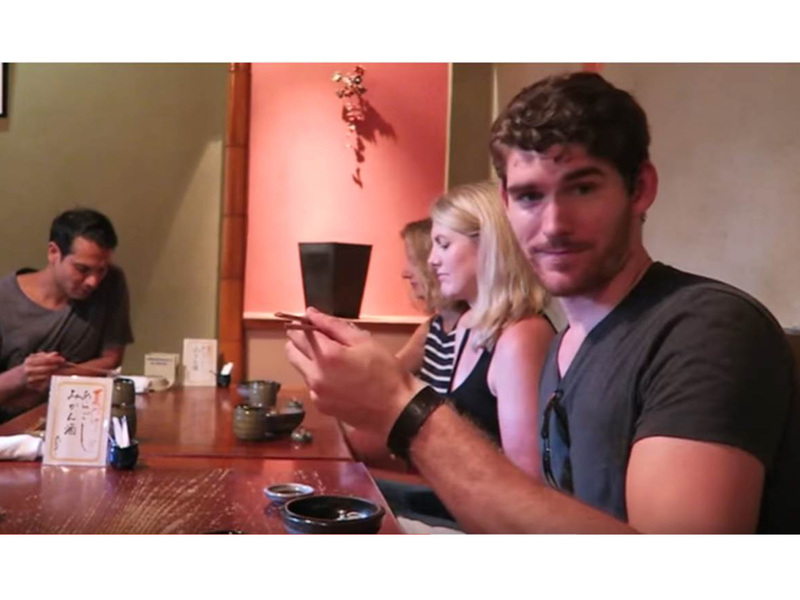 Amazing Japanese dining experience! The overall experience really put me in the mindset of feeling as if I was in a Japanese home. 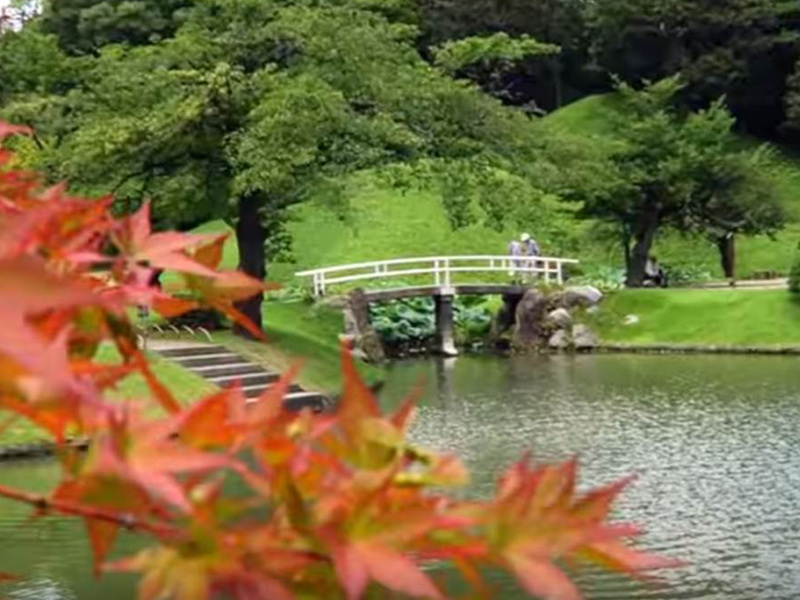 Koishikawa Korakuen Gardens make for a lovely escape from the city. 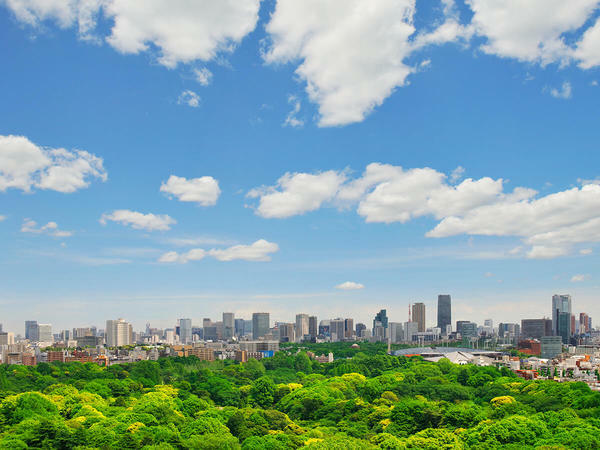 Because of its location right near Tokyo Dome City and Iidabashi, it is easy to stop by when in the area for a much needed dose of nature. I felt far and away from modern Tokyo at this traditional looking hideaway located off a back alley, down a cobble stone street. 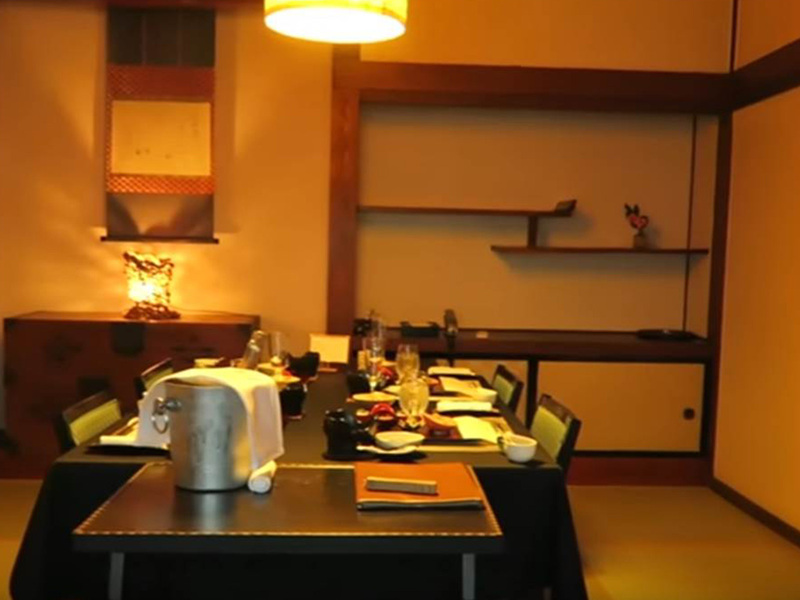 A great atmopshere combined with delicately prepared Japanese washoku cuisine. 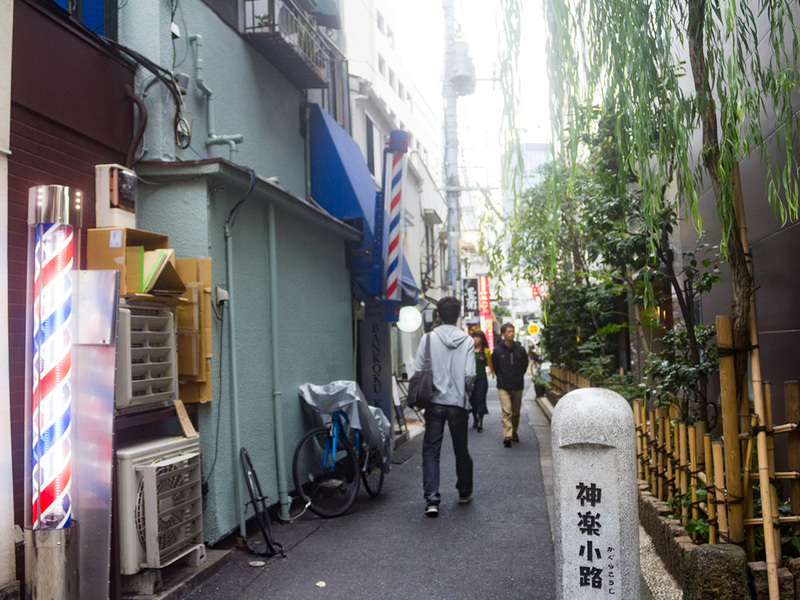 Kagurazaka is a scenic area of Tokyo noted for its historic atmosphere. A unique spot to spend a few hours browsing specialty boutiques and restaurants — all set in a quiet, residential neighborhood where you can get away from the city and have a relaxing afternoon. At first I was very skeptical, as this expereince is aimed at children, but it turned out to be a great laugh and we all had a very fun time. Having light fun experiences to look back on really makes a trip enjoyable and is a good mix from the more historical aspects. I loved that it was so hands on rather than a passive experience. 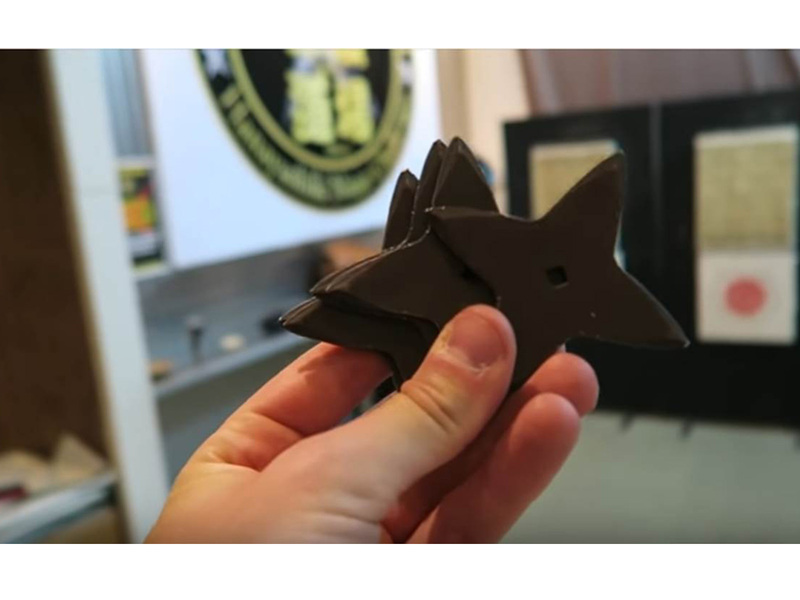 I liked the real Ninja Stars experience. I wish we could have had more time here. The temple was beautiful but very busy with tourists which doesn’t make for the best photos or videos. Interesting to see what people do at the temple, like the smoke shower and throwing coins into the offertry box. I loved the contrast between the old temples and the modern skyline of Japan as seen in my photo. Gold leaf wrap ice cream was very cool and something different. I did not know that gold leaf is flavorless. 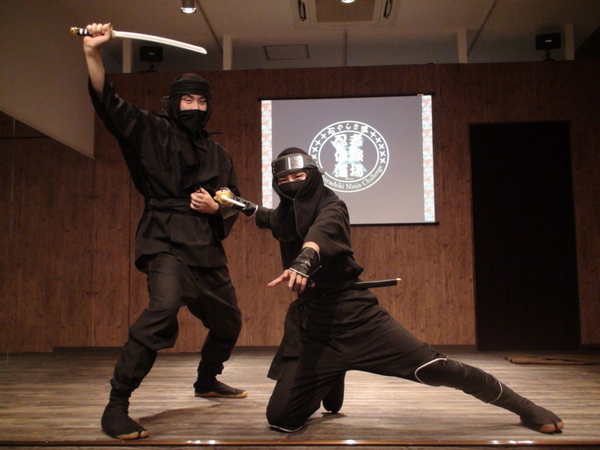 Ninjas are one of the most famous and mysterious elements of Japanese history, and this quirky attraction gives visitors the chance to experience the basics of “ninja training.” Our English-speaking instructor was very friendly and had a great energy, which made this activity all the more fun. Between learning how to sword fight, mastering the art of disguise, and finally trying our hands at throwing ninja stars, there were lots of laughs from our group throughout the experience. I especially recommend this for families with children. It's always enjoyable to be in Asakusa, walking through Nakamise dori and shopping for crunchy senbei snacks and sweets. It's always one of the first places I take friends and family when they visit Japan. 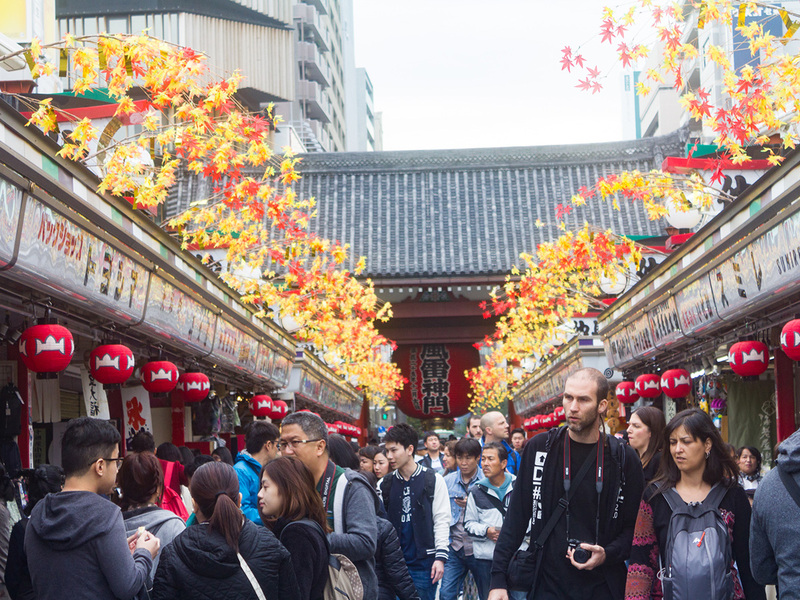 I have been there many times, but the nostalgic atmosphere of Asakusa is very special to Tokyo and it never gets old. Dinner at Rin was fantastic. All positive things to say here. It was nice to see Golden-gai, and little bars on both sides of the street. This is a restaurant popular among the locals with a cozy, convivial atmosphere. The menu has other Japanese food such as sashimi and tempura. All of it goes down even better with some Japanese sake. It's quite tiny — but a great place to get to know the people sitting next to you! 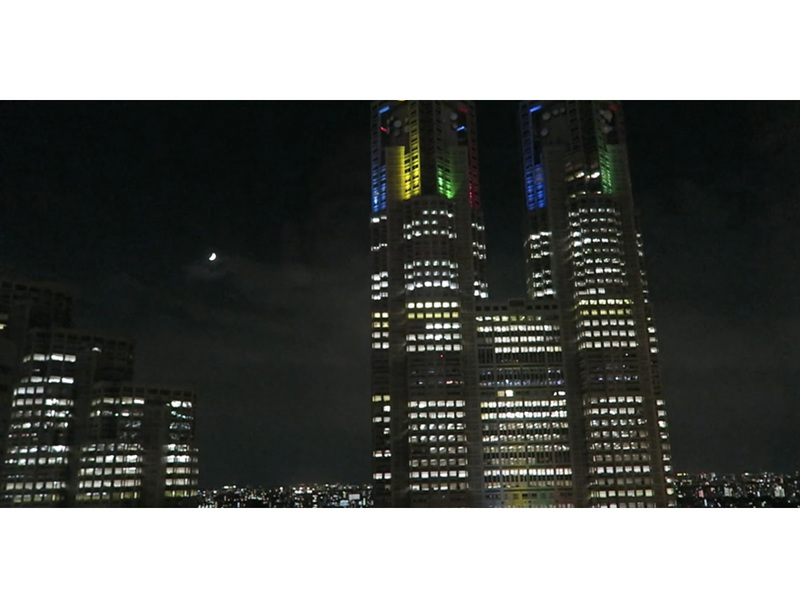 A very nice centrally located business like hotel in Tokyo. The staff were very well informed and punctual. The buffet breakfast was very good as well. The shops in the lower level were also very convenient. This hotel is located right next to Shinjuku station which means great access for any destinations in Tokyo area. 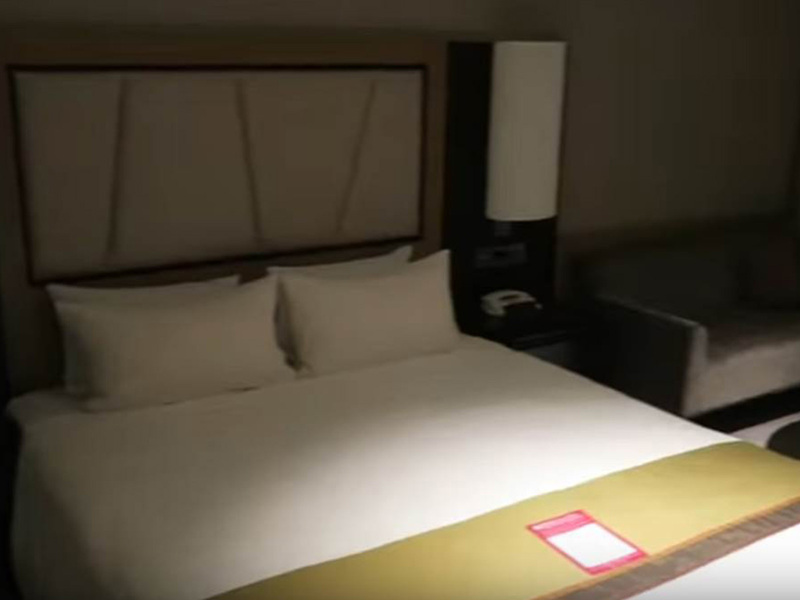 Not to mention the clean room and the free Wi-Fi, but also having facilities like gym and lounge and nine restaurants all in the hotel is impressive. I was very impressed at the speed and comfort of travel! I have never been on a high speed rail train, it makes traveling North to Miyagi very practical and easy. I was surprised so many people are in line for bento boxes before they get on the bullet train, which is a normal thing in Japan. Very nice view all the way. 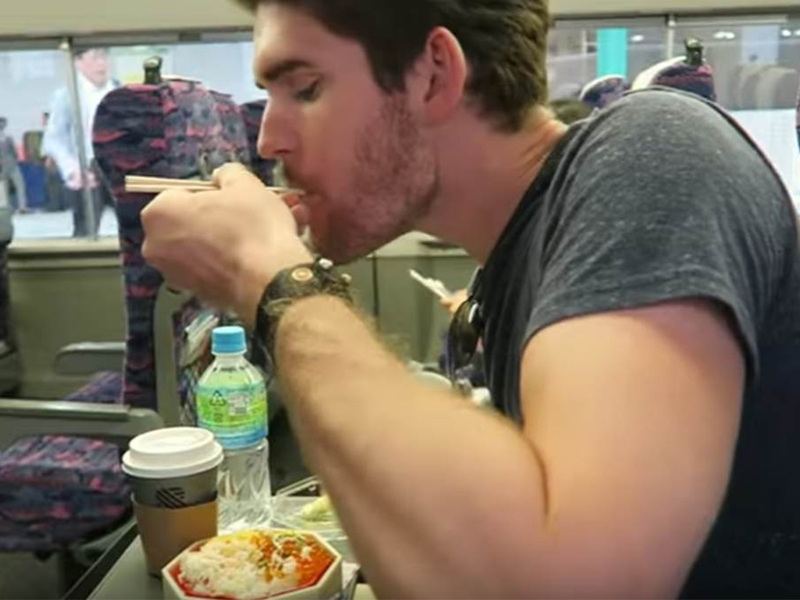 I love traveling on the Shinkansen in style! 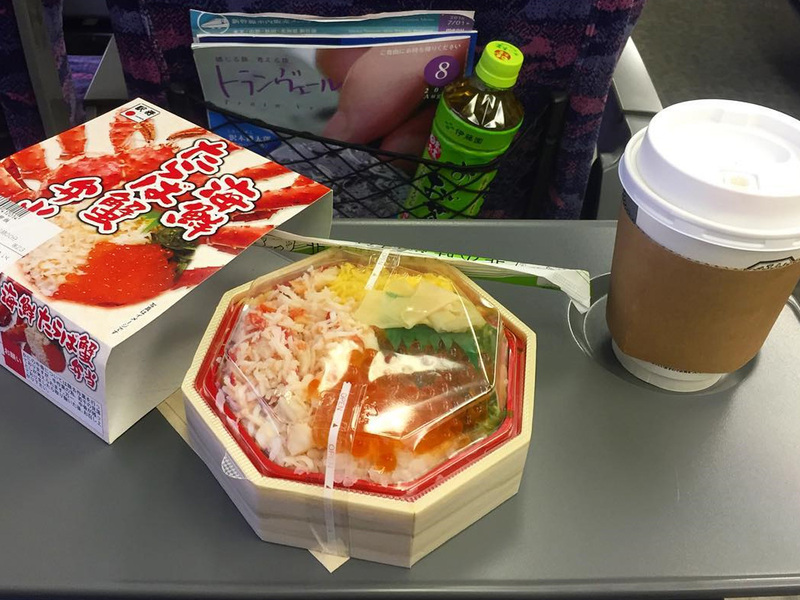 It's only a two-hour trip from Tokyo to Sendai, and when we arrived I was still enjoying the scenery through the window with my bento lunch. Also, the reserved seats are very wide and comfortable — a definite plus. Rental Cycle was fantastic, the best way to see a city is by bike as I love to cycle. The castle was one of my favorite experiences. Hearing the history of the Samurai then getting to see a glimpse of the past was incredible. 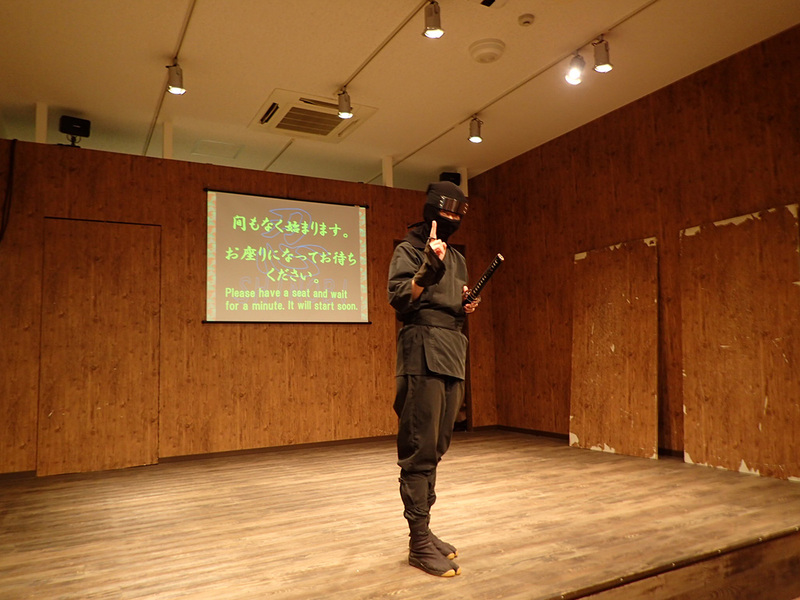 Dressing up as Samurai and dueling in front of the Castle was also very memorable! Very good ramen! Nice local establishment. 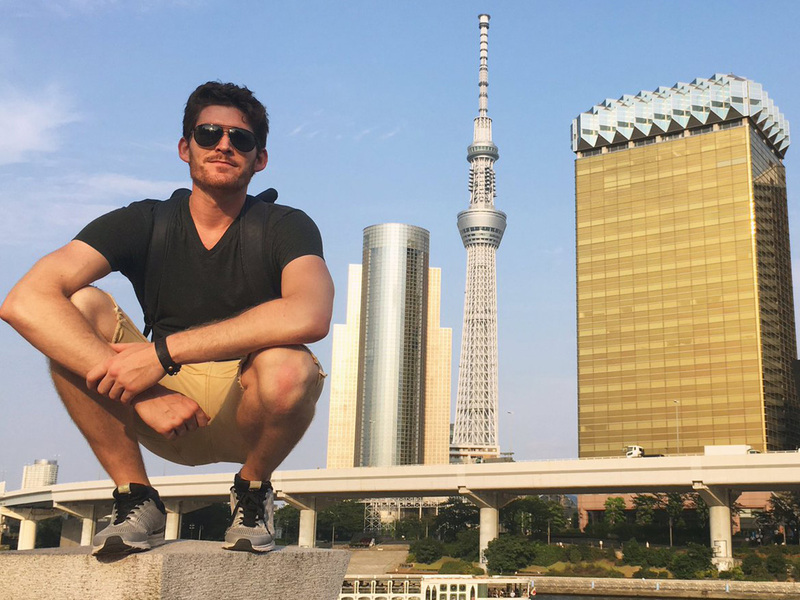 I ride a bicycle around Tokyo all of the time, so it was great to get out and do it at our travel destination — that way we could see and experience places we otherwise would have missed if just traveling by train, bus or car. After being demolished during the Meiji Restoration, Shiroishi Castle was rebuilt in 1995 to give visitors an idea of what the castle would have looked like in its heyday. While only one of the original castle’s many buildings was reconstructed, it is surrounded by a lovely lawn dotted with cherry trees and has some stunning views from the top floor. 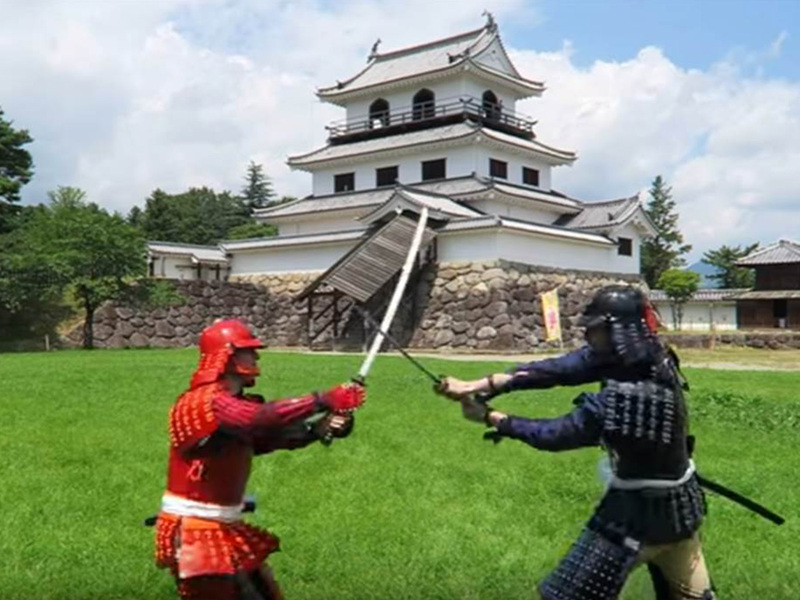 When visiting the castle, I recommend taking the opportunity to dress in samurai armor—it’s a unique experience that provides both a new way of looking at samurai culture and some great photo opportunities! In spring, a picnic under the cherry blossoms is a quintessentially Japanese experience. 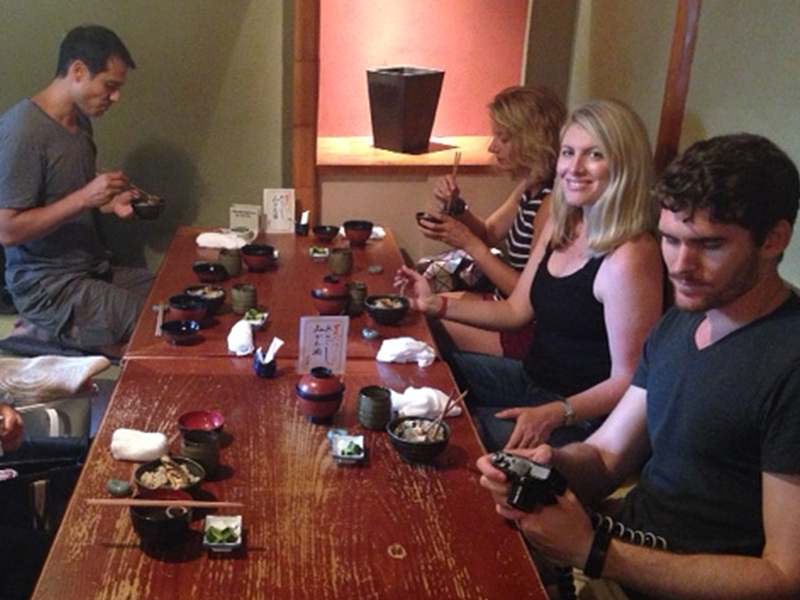 At Hikarian, we slurped noodles in a traditional thatched roof building that was built back in the Edo period. 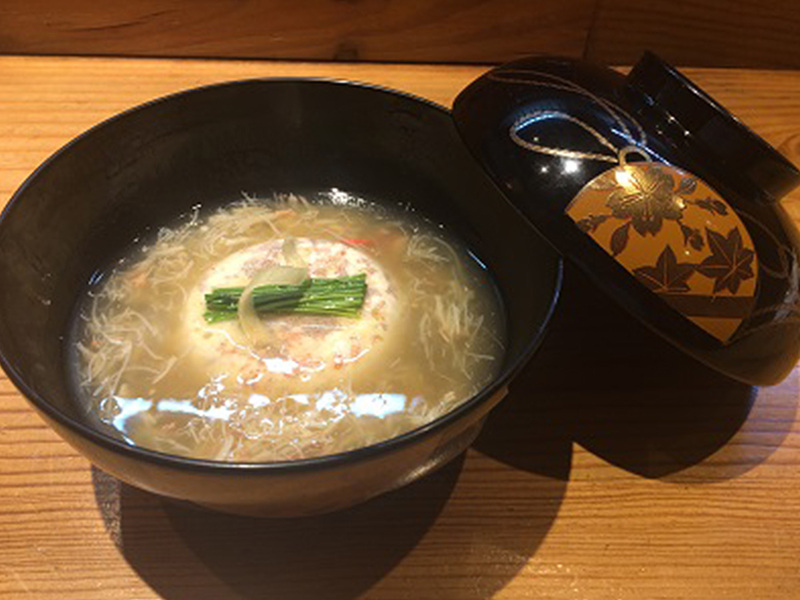 Hikarian specializes in a noodle recipe called shiroishi umen, which is like a short, thick udon noodle. They have several varieties and I'd love to try the sesame flavor next time. You can enjoy a kokeshi doll painting workshop at Yajiro Kokeshi Village. There are 10 types of kokeshi, each of which has its own unique facial expressions, coloring and other characteristics. Yajiro kokeshi are distinguished by their overall vivid color schemes. You can use a wide palette of colors to create your own original kokeshi. 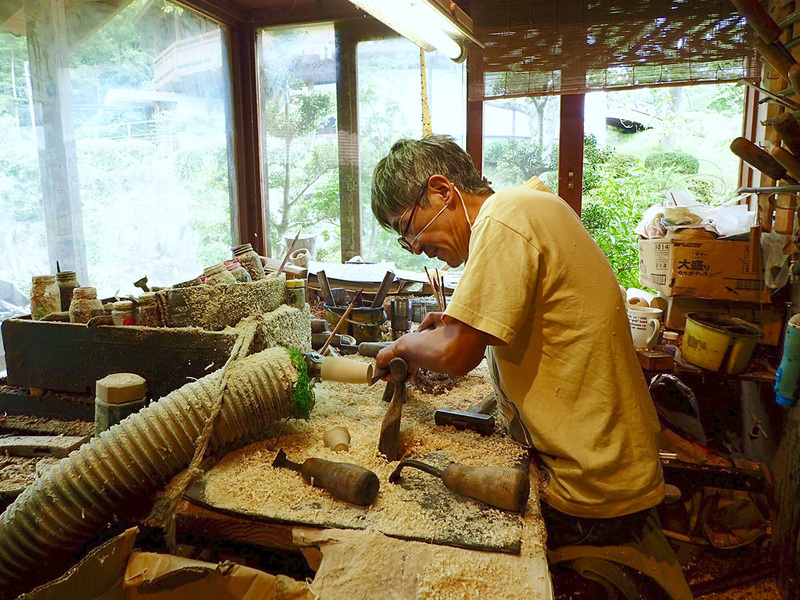 I greatly respect the craftsmanship that goes into every single Kokeshi Doll, the attention to detail was astonishing! I recommend it for those who are interested in crafts. 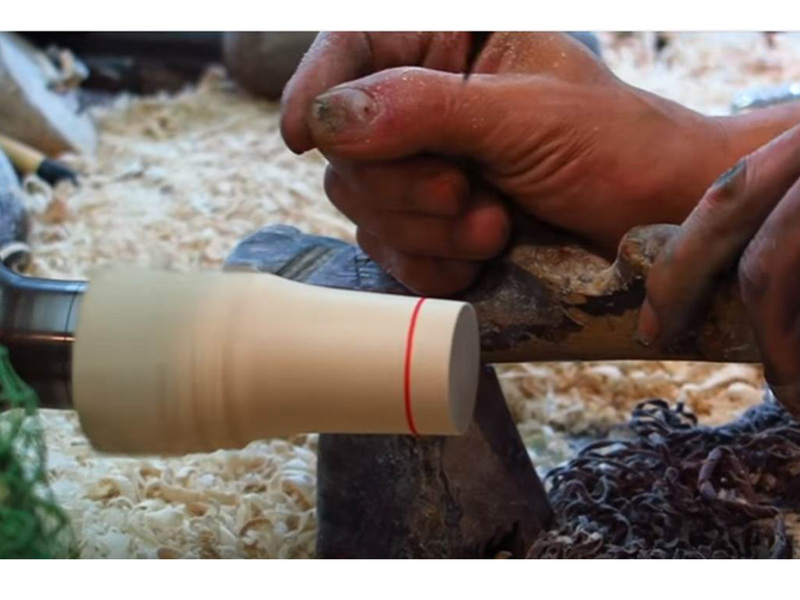 It was very surprising when the craftman was chewing the wood chips and asked me to taste it too. It tasted like chopstickes because the wood is what chopstickes are made of. Kokeshi dolls are one of my favorite Japanese souvenirs to bring to friends and family back home, so it was fun to see how they are made and to learn a bit about their history. Trying to paint one myself gave me a renewed respect for the artisans who do this as a career—it’s certainly not as easy as it may look! 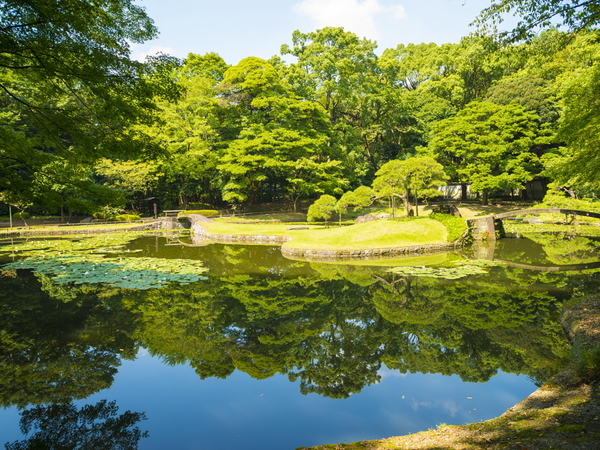 Or a 20-minute walk from Yajiro Kokeshi-mura. This venerable inn has been around for about 600 years. 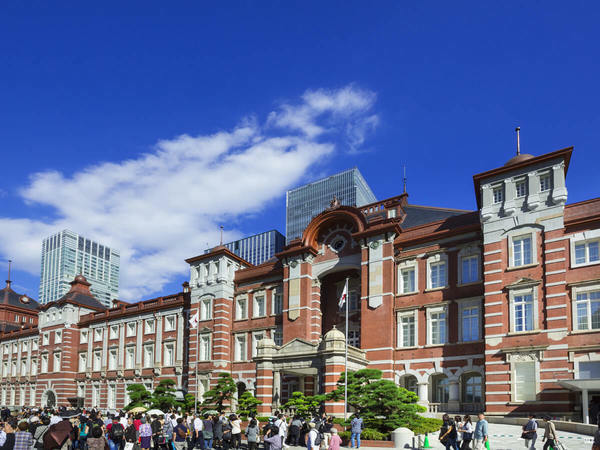 The main building has been designated a registered national tangible cultural property, and staying in this historical building makes one feel the essence of Japan. There are eight kinds of guest rooms, each designed with a different concept in mind. Guests enjoy supreme hospitality and a very special experience. A bath in the hot spring will leave your skin silky smooth. It is said that the samurai Date Masamune, who ruled the Sendai domain, also bathed here. Without a doubt, the time spent here is sure to be a special experience. Another highlight of the trip! 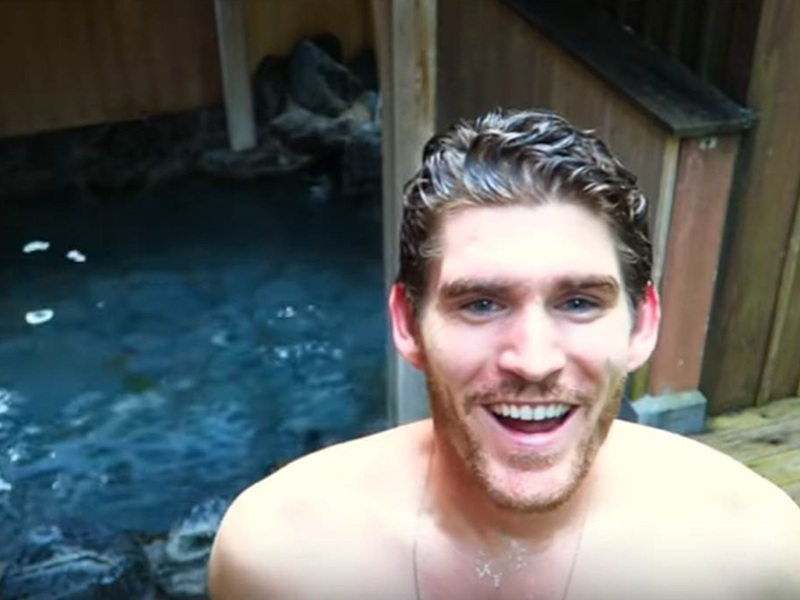 The expereince of staying in a traditional Japanese Inn, bathhouse and the amazing food made this trip. The breakfast was serverd very nicely and was good preparation for the day. All employees of the Inn were polite and cared about the comfort of the guests. I loved all the rooms are faced on east side so that we can see the sunrise. The room I stayed was very simple and tidy. Having no shower in the room unlike in other hotels I stayed, had to go to bathhouse but open air hot spring was one of the best thing I have ever had. The tempreture was cooler and felt air was more fresh than In tokyo where and hot even in the morning. I did not expect this stay to be so relaxing, it was more like a spa than just a place to stay. Highly recommend staying here. I plan to return! I like that most of Japanese Inn has sleep wear. 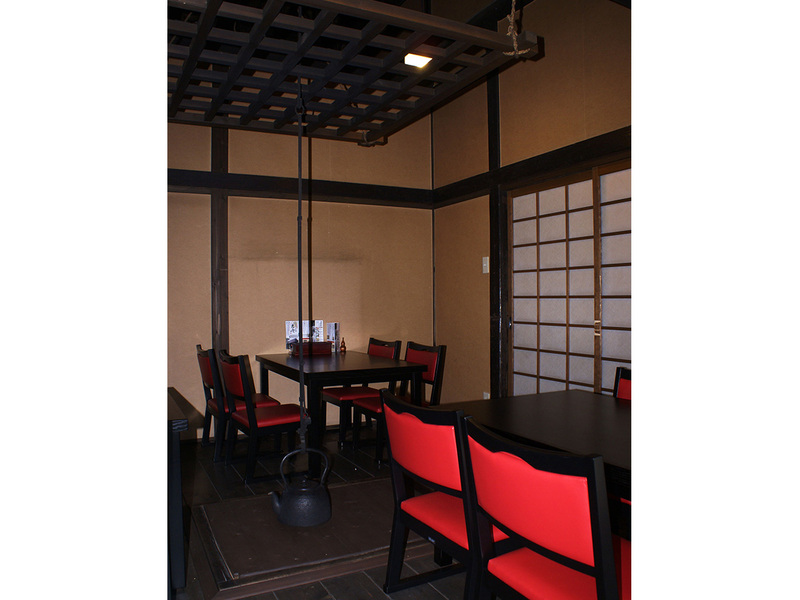 One thing you need to be careful is to watch your head because traditional Japanese Inns have very low ceiing! 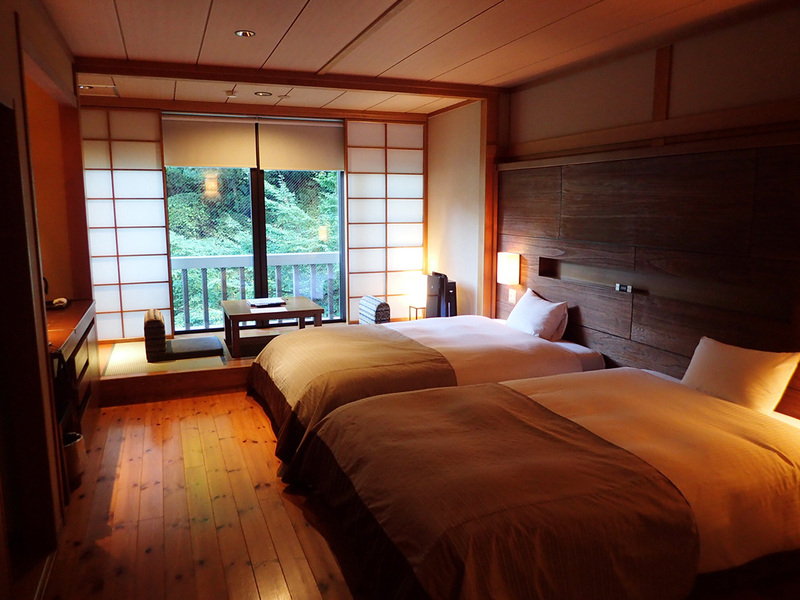 When in Shiroishi, do yourself a favor and stay at the wonderful Yu-Nushi Ichijo Ryokan. From the moment the staff greeted us at the door this was the epitome of Japanese “omotenashi” hospitality. The hotel buildings are historic and beautifully maintained, the food is delicious and artfully presented, and the rooms are spacious, elegant, and extremely comfortable. The open-air bath is an added bonus that shouldn’t be missed. A warm soak in the fresh mountain air is the perfect way to relax after a long day of sightseeing. I look forward to returning to Yunushi Ichijo for a longer stay in the future. * This bus only operates on Saturdays, Sundays and holidays between late April and early November. 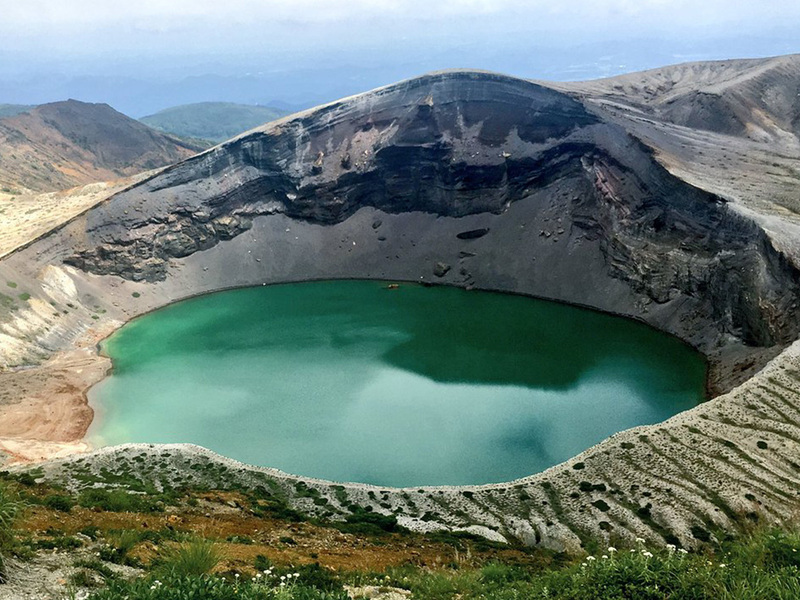 The Okama is a crater lake with a circumference of 1,000m and a depth of 27m. It is also known as “Goshikinuma” (lake of five colors) for the changes in the colors of the water surface from the intensity of light. 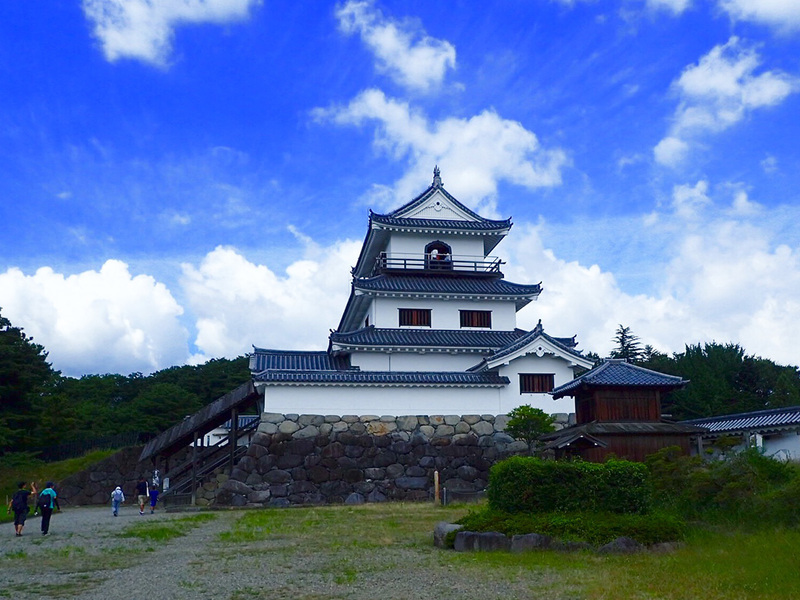 Okama is a popular sightseeing spot that is representative of Zao. Visitors can enjoy the sight of alpine plants in summer, and views of red autumn foliage from September to November. When the roads are opened around the end of April, the snow forms walls above 10m high close to the sides of the road leading to the mountain top. The Crater itself was unlike anything I have ever seen. One of the most stunning landscapes that nature can produce. It is like something out of a novel or The Lord of the Rings. It is awe-inspiring to stand at the foot of the Crater! Nice experience to see that Japan is a volcanic island. I could see the big falls around before we went on hiking and was beutiful and it made me want to try a cliff jumping. I was excited when I saw monkeys on the way. 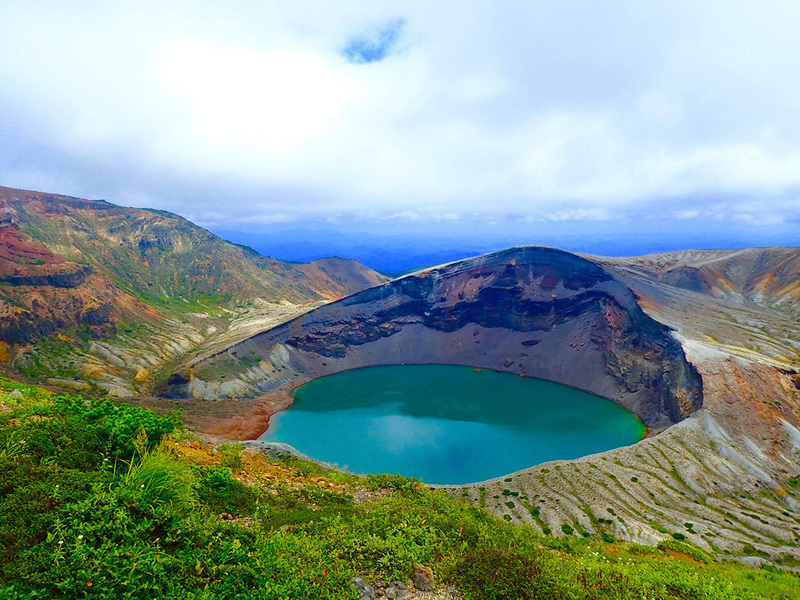 Exploring the area around the Zao Okama crater lake at Mount Zao was the highlight of my trip to Zao. I recommend going early in the morning to avoid crowds and spending as much time as possible hiking the trails and taking in the views. Another name for the lake is “goshiki numa,” or “five color pond,” as it appears to change color depending on the angle it is viewed from and the way the light hits it. I wish I had had more time to attempt to see and photograph it in all of its five colors! I was very impressed at the speed and comfort of travel! The 30-minute trip passed too quickly. I always enjoy the clean, cozy — and extremely puntcual — bullet train. I felt the punctuality definitely helps all the tourists. 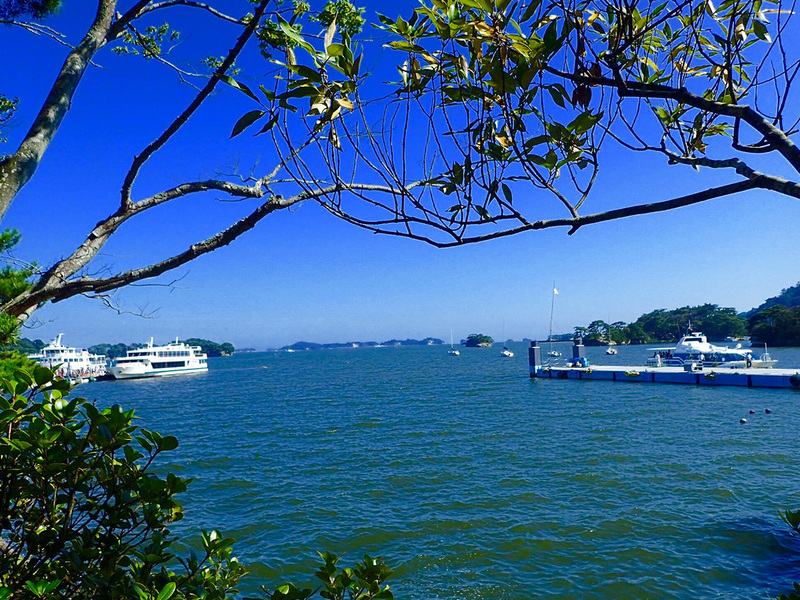 Matsushima is breathtaking. I only wish we could have had more time here. 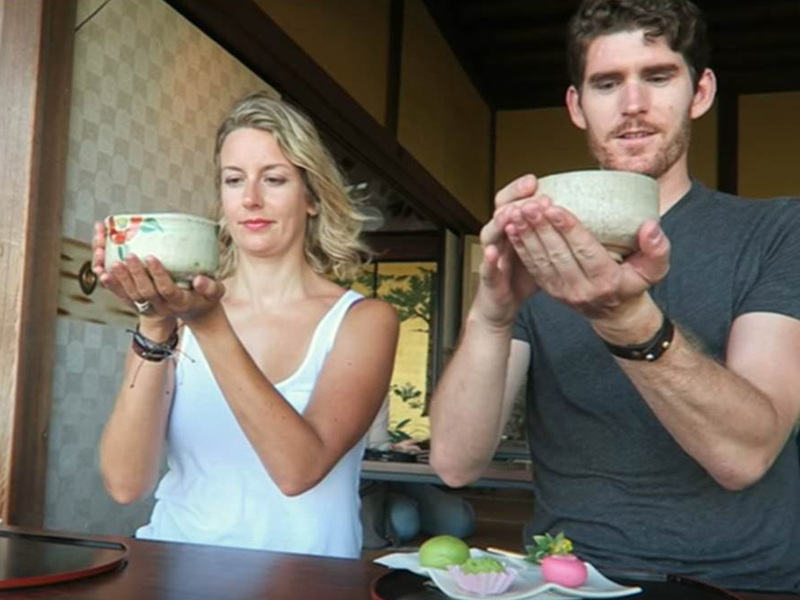 The tea ceremony was relaxing and informative. Our contact guide loved his work and it was very clear in his passions for the city. It was such a short stay, but I could feel Japanese Omotenashi" with everyone in　the area was so nice to me even I do not speak any Japanese and the local people do not speak English at all. 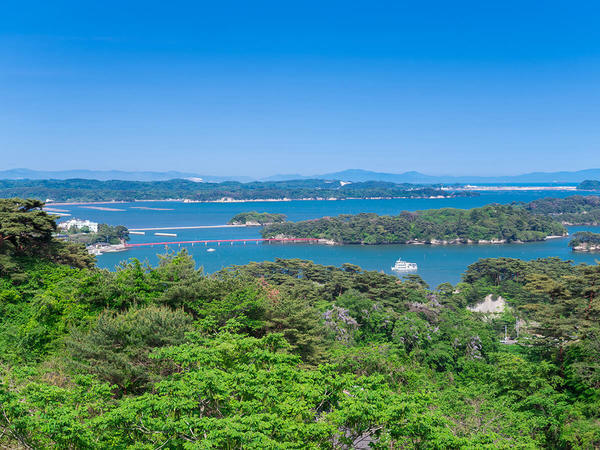 Matsushima is a lovely, picturesque little town, perfect for a leisurely stroll around the temples, food stalls, shops and restaurants. 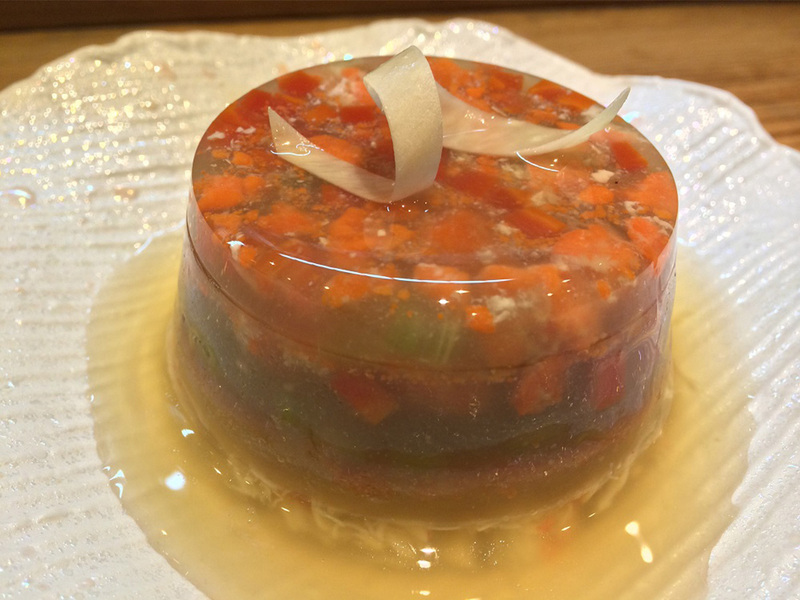 Located just across from the train station, Kanrantei makes the perfect first stop. 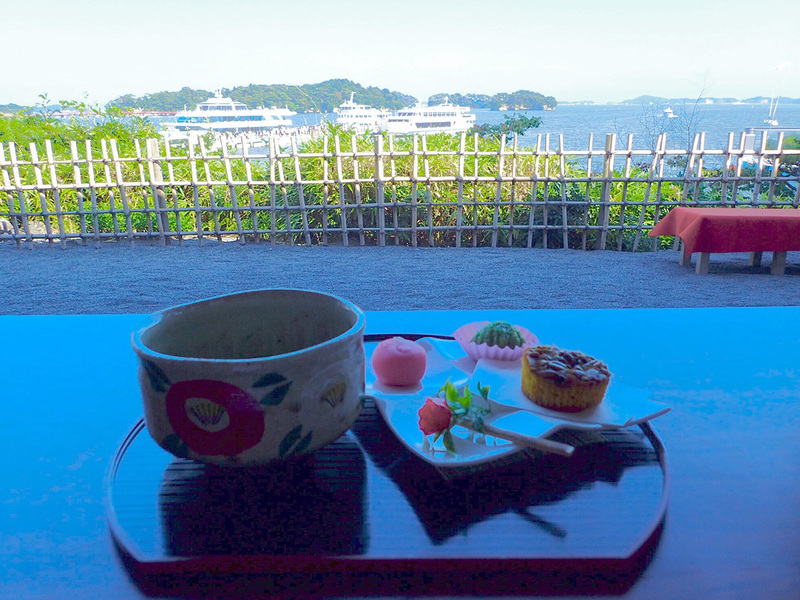 Transported from Kyoto and now overlooking Matsushima Bay—said to be one of Japan’s top three scenic destinations—the tea house provides a peaceful and understated atmosphere. The tea set consisting of matcha and a selection of local sweets is the perfect way to take a short rest after the journey while refueling for the rest of your day. 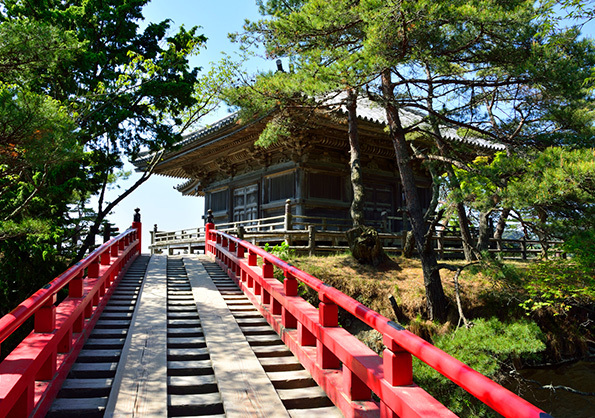 While Godaido and Zuiganji are among the most popular sights in Matsushima, don’t skip Entsuin Temple. 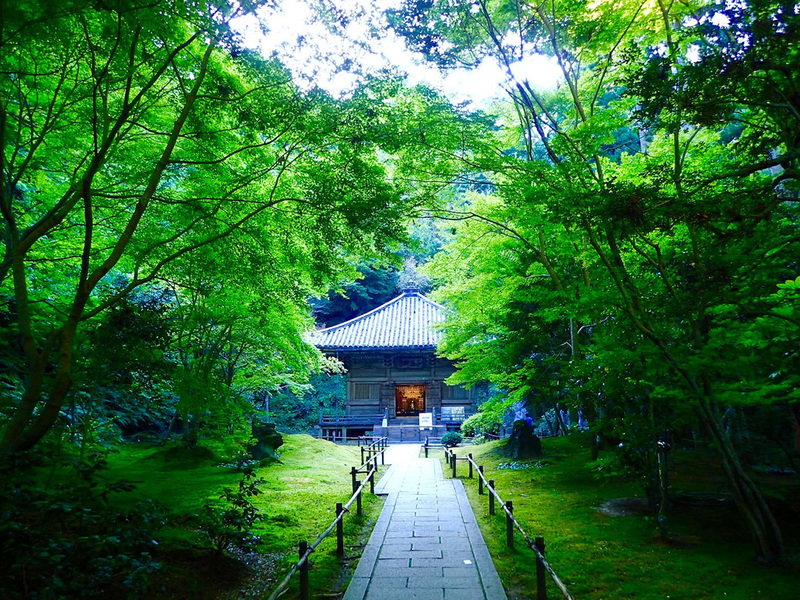 Located just next to the temple of Zuiganji, Entsuin is surrounded by Zen rock gardens, ponds, moss-covered ground, and cedar and bamboo groves for the ultimate in serenity. Rare to temples in Japan, there is even a Western style rose garden, which makes for an interesting juxtaposition. Even on weekends, the temple does not get particularly crowded, and sometimes you can even feel as though you’re in your own private sanctuary. I highly recommend this tour. 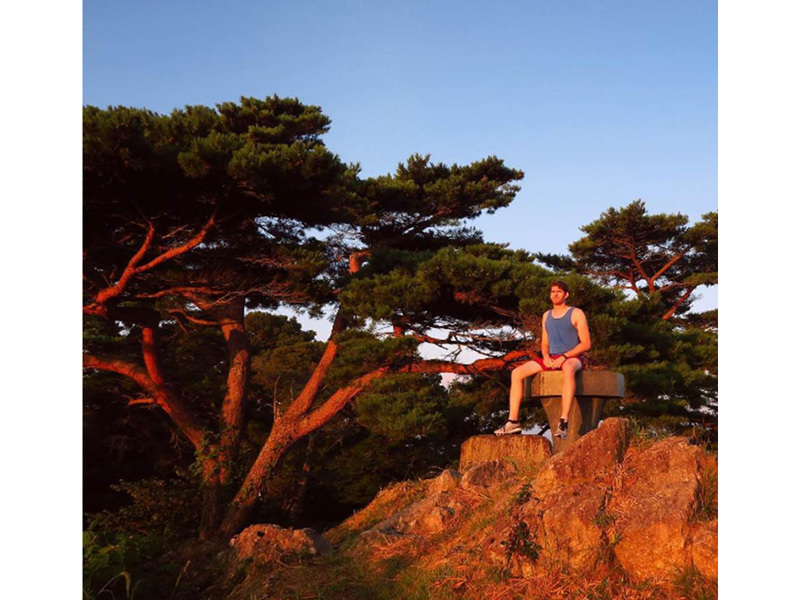 The natural beauty of Japan is with out question has captivated my imagination and has me yearning to experience more. I would recommend to my audience of 126,000 to come to Japan and experience the best of Miyagi. 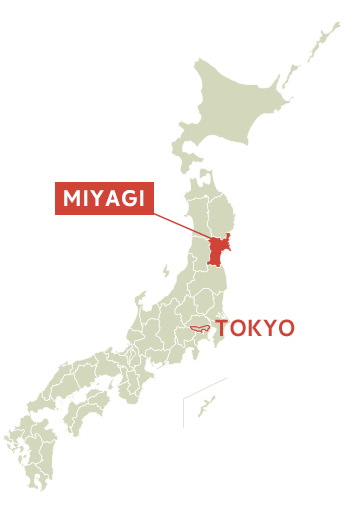 I had never visited Miyagi before, and was surprised by how quickly and easily it can be accessed from Tokyo via Shinkansen. The scenery there is beautiful and diverse, from mountains and waterfalls to a rugged coastline and picturesque bay dotted with rocky islands. It’s the kind of place that can be visited in a few days, but could easily fill a much longer trip as well. 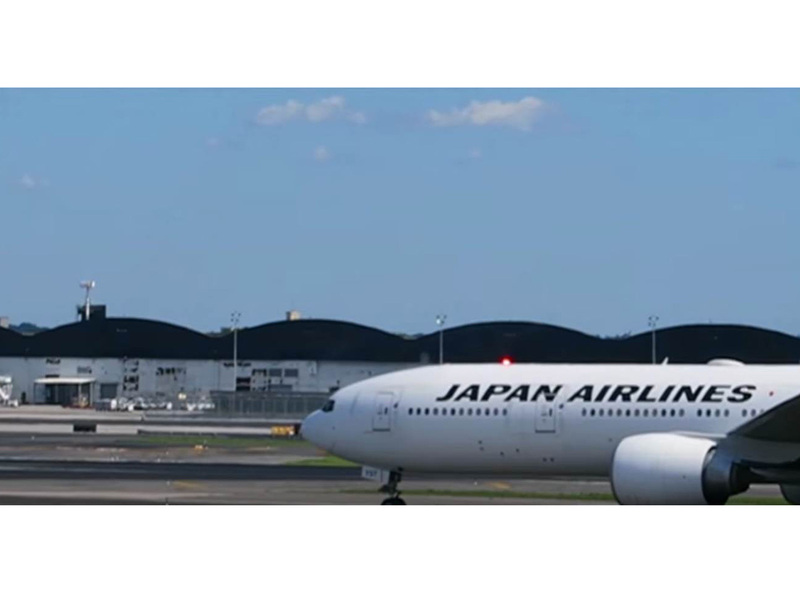 The weather is also a bit cooler and less humid than in Tokyo, which makes it a great choice for a summer getaway.